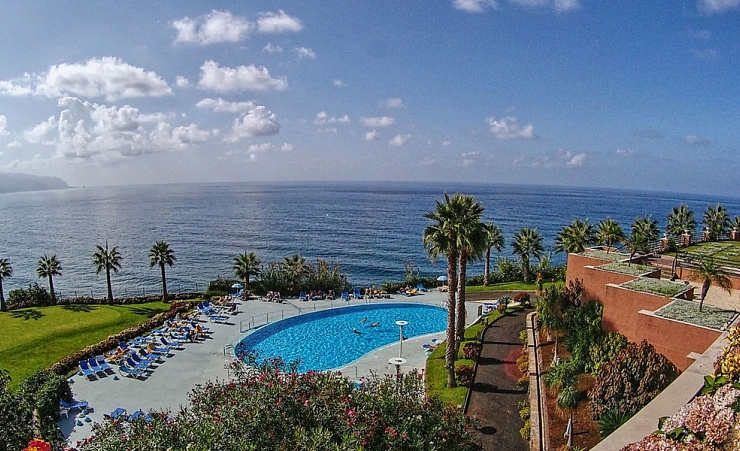 This All-Inclusive 4-Star hotel is located on the northern coast of Madeira, in a quiet area. 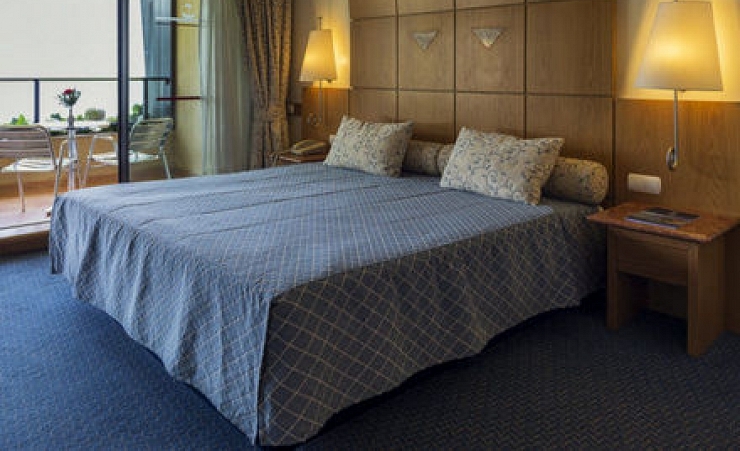 The hotel lies on the Ponta Delgada cliffs which give fantastic views of the Atlantic Ocean as well as the mountains and nearby forestry. 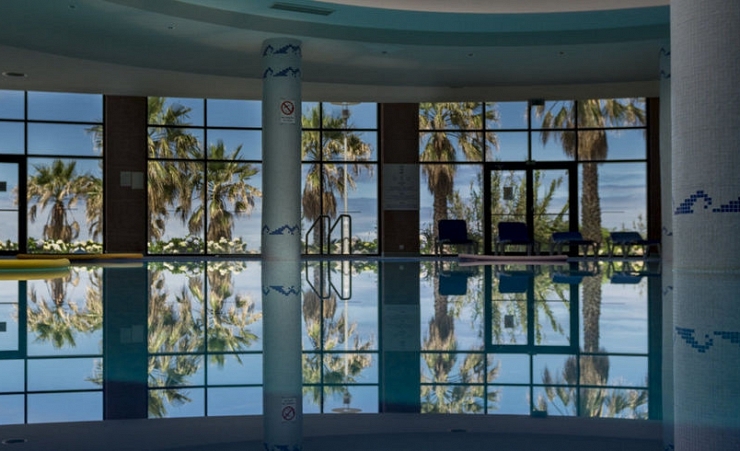 Guests can make use of the hotel's indoor and outdoor swimming pool as well as a separate children's pool. 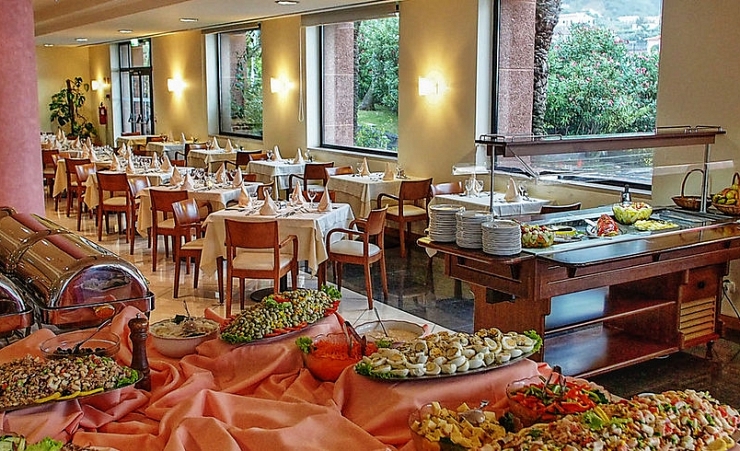 There are various places to dine at Monte Mar Palace, with a restaurant and three bars to choose from. 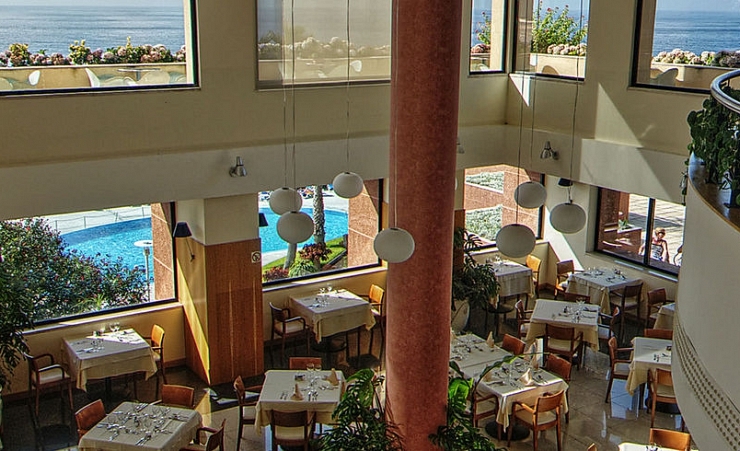 The restaurant serves both Portuguese and International dishes as you dine with spectacular views of the Atlantic, whereas the bars offer a wide choice of drinks and snacks. There is also a poolside bar to enjoy a drink by the pool or gaze at the views. Monte Mar Palace will help you rejuvenate during your stay with Spa facilities including a sauna, jacuzzi and hammam. Large, modern guestrooms offer a glorious view of the nearby mountains and are furnished with satellite TV, air-conditioning, fridge and a fully equipped bathroom. Upgraded rooms are available at a supplement. The natural splendour of this region is evident in its luscious forests, the volcanic forces which sculpted the landscape and an erosion against the rolling hillside that surrounds the village. 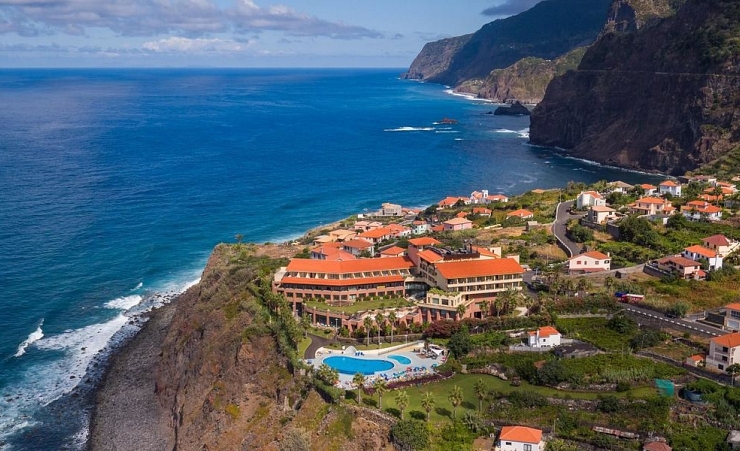 Sao Vicente, with its breathtaking scenery and the recently restored village centre, along with a remarkable architectural framework, is one of the most picturesque spots in Madeira. The temperatures in Sao Vicente are very mild: during the winter they rarely drop below 14C and in the summer temperatures average 28C. Given the ideal weather conditions and a good selection of amenities which can be enjoyed in the town's centre, this remote yet picture-postcard resort it perfect for visitors seeking leisurely hikes and utter immersion in the island's natural beauty.